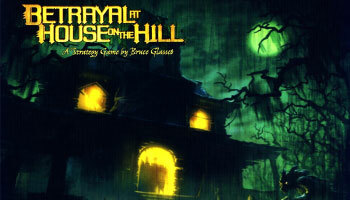 Betrayal at House on the Hill is a tile game where you will explore a haunted mansion filled with dangers, traps, items and omens. The players will encounter spooky events and uncovering ominous omens. As you play, you'll build tile by tile the house that is filled with omens and deadly spirits, creaky stairs, creepy sensations and foul smells. But beware! Omen cards work as a timing mechanism. 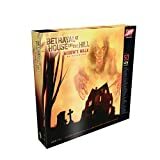 Each time one is discovered, a group of dice are rolled and eventually the "haunt" begins, with the nature and plot of this session's ghost story revealed. 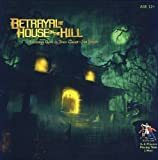 Secretly, one player betrays the rest of the party, and the innocent members must defeat the traitor in their midst before it is too late.